Below you will find a sample letter of support for the Compassion Bill, SB 829. We need this post to not only go viral, but we need that exposure to be converted into emails to Senator Wiener’s office by 5pm today. Cannabis and non-cannabis companies carry the most weight with legislators but we should also encourage letters to be sent from those the most affected by the current lack of compassion embodied in the current regulations. It will take a village to get this bill passed. We really need to step away from the circular firing squad at least until 5pm today. In order to ensure we all focus our energy here for the next 5 hours, we will not be allowing any other posts through. I hope we can lick our wounds and rise up so that the sickest of the sick, the neediest of the needy, are not the recipients of all of our industry’s current resentments. Please let our industry put all of our hurt feelings aside and rise up to honor what this movement has always been about, compassion. *****THIS CONTENT BELOW NEEDS TO BE SENT IN A PRINTABLE DOCUMENT. This means that the support needs to come in the form of a Word Doc, or a PDF. The sender will need to date the letter, add in a business logo (if one is available), a digital signature, and the supporter’s contact information. On behalf of _______ I write to express our support for Senate Bill 829 (Wiener), which would exempt certified compassion care programs from paying excise and cultivation taxes on cannabis that they give away to compassion use patients, thereby allowing them to restart this service without facing prohibitive costs. Exempting the cultivation and excise taxes from the passage on to qualified compassion care programs will allow these organizations to resume donations of medical cannabis that vulnerable patients rely on to manage their debilitating symptoms. In 1996, California passed Proposition 215, which allowed individuals with certain chronic medical conditions to procure medical cannabis. 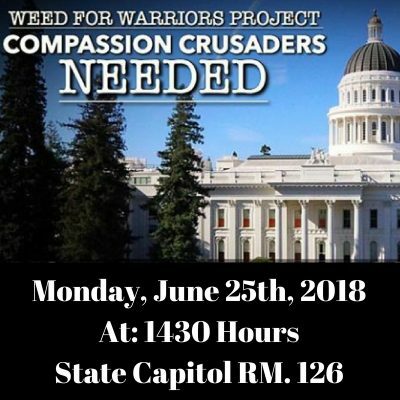 Following the enactment of Proposition 215, donation-based compassion care programs emerged to meet the needs of individuals who had a physician’s recommendation but also needed help accessing medical cannabis. The enactment of Proposition 64 in 2018 placed new taxes on all recreational and medical cannabis. While compassion care programs do not operate in the commercial market since no cannabis is bought or sold, ambiguous drafting, unfortunately, does not explicitly exclude them from these taxes. These donation-based programs cannot afford the new taxes attached to cannabis and most have been forced to close their doors. While Proposition 64 did not intend to cut off medical cannabis to these compassion use patients, current policy has forced too many vulnerable people into the unregulated black market. To rectify this situation, SB 829 would exempt qualifying compassion care programs from the cultivation and excise tax enacted by Proposition 64. After a compassion care program is certified by the state, they would receive a new license exempting them from the cultivation and excise taxes. Doing so will allow them to resume the donations of medical cannabis that compassion use patients rely on to manage their debilitating symptoms. These programs are essential to the well-being, mental health, and overall quality of life for chronically ill patients. For these reasons, ______ supports SB 829 and requests an “AYE” vote on this important legislation.